The following is a list of the horses that paid the most to win in the history of the Belmont Stakes. To date, three horses have won the Belmont that paid over $100 to win. That is the same number of $100 winning horses that the Kentucky Derby has had in its history. The Belmont Stakes is the third leg of horse racing's Triple Crown. 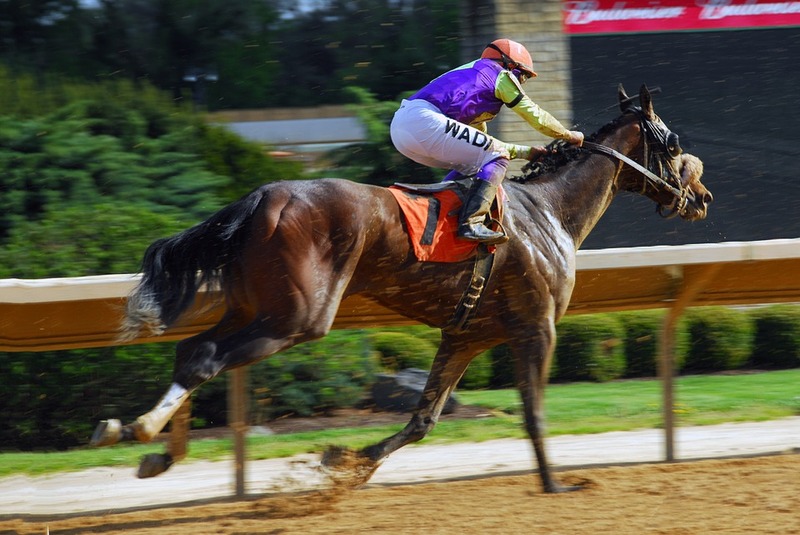 It is run exactly five weeks after the Kentucky Derby, and three weeks after the Preakness. Any horse that wins both the Kentucky Derby and the Preakness comes into the race needing to win the Belmont to claim horse racing's Triple Crown. To date, only 12 horses have won the Triple Crown. The last horse to do it was American Pharoah in 2015. In recent years, horses like Silver Charm (1997), Real Quiet (1998), Charismatic (1999), War Emblem (2002), Funny Cide (2003), Smarty Jones (2004), Big Brown (2008), and I'll Have Another (2012), have all won the Kentucky Derby and the Preakness. None of those horses went on to win the Belmont and claim the Triple Crown, but a number of them were over-bet and defeated by horses on this list. The highest win price in Belmont Stakes history came in 2002, when 70.25 to one Sarava won the race and paid $142.50 for each $2 win ticket. Sarava, a son of Wild Again out of a Deputy Minister mare, was trained by Kenneth G. McPeek, and ridden by jockey Edgar Prado. Sarava also paid $50 to place, which is the second highest place price in Belmont history, and $22.40 to show, the highest show price in race history. In 2002, War Emblem came into the Belmont having won the Kentucky Derby and the Preakness. He raced in contention in the Belmont until the horses hit the stretch, and then he faded badly to finish eighth in the race as the 1.25 to one odds betting favorite. Sherluck paid the second highest win price in Belmont Stakes history when he won the race in 1962 at odds of 65.05 to one and paid $132.10 for each $2 bet. Trained by Harold Young and ridden to victory by Braulio Baeza, Sherluck was the longest odds horse in the 1962 Belmont. The favorite in the 1962 Belmont was Carry Back, who had won both the Kentucky Derby and the Preakness that year. Carry Back was the .45 to one odds heavy favorite in the Belmont but he was a stone-cold closer and the pace in the race was slow. Sherluck sat just off the pace set by Globemaster in the 1962 Belmont, and then passed that horse in the stretch to win the race with Carry Back a well beaten seventh. The third highest priced winner of the Belmont Stakes was Temperance Hill, who paid $108.80 when he won the race in 1980. Trained by Joseph B. Canty and ridden by Eddie Maple, Temperance Hill defeated heavily favored Codex (1.60 to one odds), and the Kentucky Derby winning filly Genuine Risk in the race. The Nick Zito trained Da' Tara paid the fourth highest win price in Belmont history when he paid $79.00 in 2008. Ridden by Alan Garcia, Da' Tara wired the Belmont field and defeated heavily favored (.30 to one odds) Big Brown, who had won both the Kentucky Derby and the Preakness. Big Brown was pulled up in the Belmont entering the stretch. I was not a Big Brown fan, and I bet $10 to win on Da' Tara, who I felt could wire the field. Happily, I was right and cashed a nice $395.00 win ticket. 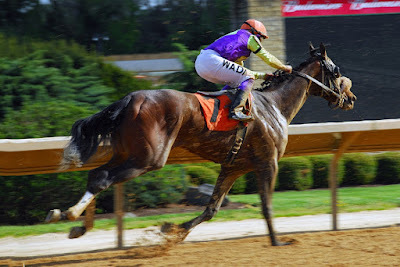 Many novices will bet closers in long races, mistakenly believing that front runners will tire but anytime you can get nice odds on a front-running horse in a long race trained by a competent trainer, it's a great bet. Big Brown is the only horse in racing history to finish last in the Belmont while trying to win the Triple Crown. Another Nick Zito trained horse, Birdstone, paid the fifth highest win price in Belmont history, $74.00, when he won the race in 2004. Birdstone, ridden by Edgar Prado, won the Belmont by one length over heavy favorite Smarty Jones, preventing that horse from winning the Triple Crown. Pass Catcher paid $71.00 to win when he won the 1971 Belmont Stakes. Lenon Drop Kid paid $61.50 to win when he won the Belmont in 1999. Ruler On Ice paid $51.50 to win when he won the 2011 Belmont Stakes.